If you’re thinking of having your teeth professionally whitened, you may be wondering what the different options are, and how they compare to the whitening products you can buy in the shops or online. In this post we’ll be covering all of the above, and giving you advice on which whitening method to choose. We also recommend visiting our teeth whitening hub page, which covers this topic in detail from start to finish. Please note: any of the treatments described below should only be carried out by a dental professional. It is illegal and dangerous for someone unqualified, such as a beautician, to carry out the treatment. See our post on safe teeth whitening for more information. What are the different types of professional teeth whitening available? How much does professional whitening cost? What is the difference between the various brands of professional teeth whitening? Which method do we recommend? Our recommended method for professional teeth whitening is to use custom moulded trays, preferably with carbamide peroxide instead of hydrogen peroxide. The reason for this is that it gives the patient more control over the procedure, causes less sensitivity, is less painful, and is less problematic overall. We cover laser whitening vs custom trays in more detail below, but first here’s a summary of how each method works. Custom moulded trays work by holding a bleaching agent against your teeth. This takes place at home, for several hours a day, for one to two weeks. The bleaching agent is made of either hydrogen peroxide or carbamide peroxide. The strength of which will vary depending on your own preferences and your dentist’s recommendations. Laser whitening takes place at the dentist and lasts for one to two hours. For laser whitening, a much higher strength concentration of hydrogen peroxide is used in order to achieve more immediate results. This may sound more appealing than the two week time frame of custom trays, but it has its downsides, and for many dentists trays are the go-to choice. What happens when you have custom moulded trays? 1st visit: a dental check up takes place and the dentist takes impressions of your teeth. The impressions are then sent to a lab for custom moulded trays to be made. 2nd visit: the dentist checks that the trays fit your teeth. Sometimes they may be too loose or require other adjustments. If they are too tight, they can be adjusted with you in the chair. Most dentists will then show you what to do with the trays and how to put the gel in them. At this stage you are ready to take the trays home and begin the whitening procedure. 3rd visit: Some dentists may arrange for you to come back for a third visit once you have completed the whitening course. This enables them to check everything went as planned, or they can give you more gel if necessary. What happens when you have laser whitening? As should be the case with any whitening product you use (even those you buy in the shops or online), you should first have a check up at the dentist to ensure there are no outstanding issues with your teeth, such as cavities / tooth decay. With laser whitening, your gums first get covered in a protective silicon gel to prevent any of the bleaching agent getting onto your gums, tongue or other soft tissues of the mouth. The gel used for laser whitening is very strong, so If it touches anywhere other than the teeth it will burn that area, which is very painful. With some laser treatments a light is shone onto the gel, but this a bit of an illusion as it doesn’t really do anything. It makes people feel like a laser is whitening their teeth, but really it’s the super-strength peroxide that’s doing the whitening. If anything the light heats up the hydrogen peroxide, which creates more sensitivity. After one or two hours in the chair, the whitening will be complete and your teeth should look instantly whiter. This is partly because they’ve been bleached, but it’s also because they’re dehydrated as a result of your mouth being open for so long during the procedure — teeth look whiter when they’ve been aired and have no saliva in them. This initial whiteness created by the dehydration will dull down over the next couple of days as your teeth rehydrate, which will also cause sensitivity — it’s the rush of oxygen to your dentine that causes this sensitivity. Some laser whitening systems also include custom trays for you to use at home once the in-surgery laser whitening has taken place. What strength gel is used for custom moulded trays? The bleaching agent used with custom moulded trays comes in the form of carbamide peroxide or hydrogen peroxide. We recommend carbamide peroxide as it breaks down over 6 hours rather than 2 hours, which causes less sensitivity. The legal limit for carbamide peroxide that the dentist can dispense to you is 16%, for hydrogen peroxide it is 6%. Hydrogen peroxide is roughly 3.5 times stronger than carbamide peroxide, thus the discrepancy. Because carbamide peroxide breaks down over 6 hours, most patients opt to use the whitening trays whilst sleeping at night. However, if you grind your teeth or find that you can’t sleep with the trays in, hydrogen peroxide can be a better option. It breaks down over 2 hours, so you won’t need to sleep with the trays in. Custom trays give you more control over the whitening procedure. With trays you do it every night for about two weeks, but if you get some sensitivity you can stop for a day or two and have a rest. Also, if you get to the whiteness you want before the end of two weeks, you can stop. You’re completely in control of your own sensitivity and whitening level. This isn’t the case with laser — you’re speeding up the whitening process by having it all done in one session. You’ve got no control over the sensitivity, and no control over how white your teeth will go. Whilst the technology has improved in recent years, laser treatment can result in painful sensitivity. Another advantage of using trays is that sometimes things crop up during the whitening process, such as the existence of a tooth abscess. The more gradual nature of whitening trays means the pain experienced won’t be as intense compared to if the laser treatment was completed with the abscess in place. It’s also worth noting that some people have naturally patchy teeth, for example if they’ve grown up in an area with highly fluoridated water, it affects the enamel in their teeth as they are growing up, resulting in yellow or white patches. The intense nature of the laser whitening is going to exaggerate this, whereas with tray whitening it would occur more gradually and not be so immediately noticeable. Can you order custom moulded trays online to save money? There are some services that offer custom moulded trays via the internet. We will be testing some of these over the coming months to see how they compare to professionally made impressions. In the UK, the saving on internet-ordered custom trays is not going to be that great — typically they cost anywhere between £50 to £150. To buy custom made trays from the dentist, and enough gel for the initial treatment, prices vary between surgeries but you can pay as little as £99 to £150. The advantage of going to the dentist is that they are a professional. The price includes a check up of your teeth, their advice, knowledge and experience, and they are properly trained to take impressions of your teeth. 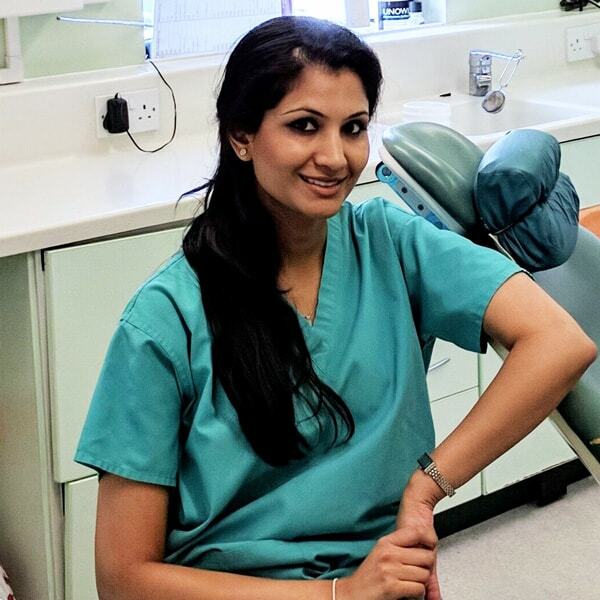 When training, dentists spend an entire module learning how to take dental impressions, so the likelihood of you being able to do as good a job on your own teeth is low. When taking impressions for whitening trays, the dentist needs to make sure the mould covers all of the tooth surface, the back teeth, all the way to the top of the teeth, and some of the gum. It would be hard to double check that if performing it on yourself. Further to this, If you were to make a mould yourself without first having a checkup, you may have unnoticed calculus on your teeth, so when you do use the tray the bleach will be sitting on top of the calculus and not your enamel, so it won’t whiten your teeth. If it’s not going on your teeth, it may be going on your gums, which isn’t good. Can you order peroxide gel refills online to save money? Any gel refills that are high in hydrogen peroxide or carbamide peroxide should be purchased from your dentist only. You may see Opalescence or Poladay / Polanight refills available online, but in the UK it is illegal for these to be dispensed by someone other than a dental professional. Some sites may be importing legitimate products and selling them illegally, others may be selling products that are counterfeits. The latter can be extremely dangerous — there’s a good chance the chemical content will not be as advertised — and could seriously harm your teeth or your mouth. You may see other refills available as part of whitening kits that are sold over-the-counter. These are different because they do not contain peroxide (or if they do it is 0.1% or less), which makes them ineffective at whitening. The safest and most effective option is to buy your refills from a dentist. They do not need to be expensive, just find a dentist that offers a price you are happy with. Refills can cost as little as £20 for 5 months’ worth. How often do you need to top up once you have whitened with trays? Once the teeth have been sufficiently whitened, to maintain the same level you will need to whiten your teeth one night every month. Most people don’t stick to doing it once a month, but can do a longer treatment again after a few months if needed. Generally a tube of home whitening gel costs £20 and each tube should last 5 nights. So potentially a top up tube could last you 5 months if used one night per month and stored correctly in the fridge in the interim period. That brings the cost out at £4 per month to top up your treatment. The cheapest option is to have custom trays only (which is our recommendation regardless of the cost saving) and opt for a dentist that offers a ‘non-branded’ option. The non-branded option is cheaper because it is being offered by your dentist directly, as opposed to being part of a brand offering, which comes with its own packaging and its own formula of whitening gel. If your dentist has an offer on, you may be able to get un-branded whitening for as little as £100, but otherwise you could be paying in the region of £100 to £200 for the trays and enough gel for your first whitening treatment. It can then cost as little as £4 per month to keep the treatment topped up. Why are some options so expensive? The most expensive options of professional whitening include laser whitening + custom trays, whereas the cheaper options offer custom trays only. With laser whitening, you first have the in-surgery treatment (which adds several hundred pounds to the cost), then you top this up with custom trays. The laser treatment creates ‘instant results’, which as we explain above is mainly because your teeth have been dehydrated. These results fade after a couple of days and you then begin the tray whitening. Unless you want this initial ‘instant whitening’, you may as well save the time and money and opt for a tray whitening system only. You may have seen various brands mentioned alongside professional whitening, which can further confuse the product offering. The end product is the same — you end up with bleached teeth — but the journey is slightly different with each product. Typically one dentist will offer a particular type of brand rather than a range of them, or they may offer a ‘non-branded’ option, which can be cheaper. We’ll explain the differences between each of these below, but which one(s) your dentist offers and how much they charge is at their own discretion. However, there is little difference in the outcome they have. By opting for £700 whitening over £100 whitening, your teeth will not be vastly whiter, if at all. The most important thing is that your teeth are whitened by a qualified dental professional, using a method you are comfortable with, physically and financially. Philips Zoom offers either laser whitening, custom tray whitening, or a combination of both. Custom trays are likely to be around £250, and laser whitening on its own will be about £450. A combination of both will be £550 upwards. With Enlighten you do not have the option to opt for one or the other, the price includes both laser whitening and custom trays. Typically prices start at £550, which includes in-surgery laser + custom trays. Boutique offers custom trays only. Prices will typically start at about £300. Whitewash offers either laser whitening, custom tray whitening, or a combination of both. For custom tray whitening, prices will typically start at about £350. For Laser whitening + custom trays, prices will typically start at about £500 to £550. Why would you opt for laser whitening if it’s more expensive (and more painful)? Given the downside of laser whitening, why would somebody choose to have it? The reason may be confusion over whether or not it’s necessary to achieve white teeth, or because they want a particular type of whitening system, such as Enlighten, which doesn’t offer the trays without laser whitening. With most laser whitening, you end up having the tray system as well. The tray system bleaches teeth, whereas laser whitening dehydrates them to create more immediate results (which then fade in the coming days). Unless you want the immediate whitening that laser treatment offers, you’re better off opting for trays. The main brands available when it comes to laser whitening are Philips Zoom and Enlighten. With Philips Zoom, you can opt for in-surgery whitening, custom moulded trays, or both. With Enlighten it comes as a package — you get both the in-surgery treatment and the custom moulded trays, you can’t have one or the other like with Philips Zoom. A newer brand in the market is Whitewash laboratories, which offers laser and trays separately or as a package. Typically when someone is opting for professional whitening, they have the choice of either custom moulded trays, or laser treatment. The third choice, internal whitening, is for whitening individual teeth — sometimes one tooth may have darkened more so than others because it has died. Once the root canal treatment has taken place, the dentist can make a hole at the back of the tooth and place a bleaching agent inside. The bleach is then left there for a few days. As part of the procedure, a single tooth whitening tray is made and the patient changes the gel in the back of the tooth every 4 hours over the space of a couple of days. Another method of doing this is to put the bleach in the tooth and seal it in with a filling. The patient can then come back whenever they are ready to have the filling removed. With the tray system, the patient can stop the whitening once the tooth is the same colour as the rest of the teeth. At this stage the tooth is filled with a white composite. If they then want the rest of their teeth to be whitened, they can have the normal tray whitening system. All three methods of professional whitening use a strong concentration of either carbamide peroxide (up to 16%) or hydrogen peroxide (up to 6%) to bleach your teeth. Conversely, over-the-counter products (such as those that we talk about in our post on the best teeth whitening methods post) that you can buy online or in shops are only permitted by law to contain up to 0.1% hydrogen peroxide. This means that such products cannot bleach your teeth in the same way that professional whitening can. In this sense, over-the-counter products can be regarded as stain removal rather than bleaching products. Depending of which type of over-the-counter product you go for, the price may not be that different to professional whitening. Some teeth whitening kits can cost as much as £65. This is a long way off professional whitening services that cost £500 or more, but as we’ve explained above, you can find good quality and effective whitening for as little as £100 to £250. Given the difference in what professional whitening achieves compared to OTC whitening kits, it is worth spending the little bit extra to get proper results. We’ve included a table below that compares the prices of over-the-counter products to the various professional whitening options. Laser whitening only	 Typically Starts at £450	 Bleaches teeth (but results fade quickly)	 What happens when you have laser whitening? Laser whitening + trays	 £500 — £700	 Bleaches teeth (lasts up to 3 years)	 What happens when you have laser whitening? Why do over-the-counter products seem to work for some people? You may have seen from online reviews that some people seem to achieve good results from over-the-counter products. Indeed, teeth whitening can vary for everyone and depends on age and the level of staining. We explain this more in this section of our article on the best teeth whitening methods. It’s also worth pointing out that over-the-counter products are different in the US — laws are not as strict and products such as whitening strips contain a much higher dosage of hydrogen peroxide, which means they will achieve better bleaching effects than their UK counterparts. We explain the difference between UK and US products more in our best whitening strips article. We’ve included a comparison table here showing the pros and cons of professional bleaching and over-the-counter products. Does professional whitening whiten fillings? Whitening only affects the natural enamel of your teeth. Fillings will remain the same colour as before. Does whitening work better for younger people than older people? The younger you are, the less the tubules in your enamel will be clogged up from smoking, teas, coffees, etc and the more effective whitening will be. Older enamel may not whiten as well. Particularly if you are older, if you want really off-the-chart white teeth, it’s unlikely that whitening alone will do, you may need veneers. How long does professional whitening last? Professional whitening can last many months or even years. A study has shown that once teeth are whitened correctly they can take years go back to their natural colour (when you whiten teeth, you are bleaching them, thus altering their natural colour). How long the effects last depend on extrinsic factors such as diet and lifestyle, i.e. drinking black coffee or red wine and things like smoking. The age of the patient also contributes. After the initial whitening procedure has been completed, if the patient does not keep the whitening topped up with trays and their lifestyle / diet is particularly staining, their teeth could be yellow again within a year.